Built with respect for nature, Pelagos Holidays Apartments have been constructed to blend with the unique beauty of the Platanias rock and the traditional architecture of the area. Opened in 2008, a modern complex of 11 two-level apartments, with verandas & balconies oriented towards the sea giving you an extraordinary view of the Cretan Sea, the island of Agioi Theodoroi and the village of Platanias from above. From your apartment, a walk of less than 10 min (500 m.) will take you to the sandy beach with clear blue waters (Blue Flag award) or to the shops and the centre of Platanias, the centre of summer nightlife for both visitors and residents of Chania. Pelagos Holidays Apartments is an excellent starting point for visiting the island’s natural beauties as well as its archaeological treasures. My family and I, stayed 11 days at Pelagos (between 25/7/2016 - 5/8/2016) and it was perfect. Beside the facilities you have at the house, Marianne was excellent with us, she gave us a lot of things to use during our stay (frigo box, sand tools for our kid, baby cot any many other things), she suggested the best restaurants in Chania and Platanias and anytime we needed something she was there to help. We like to travel and I can say without any doubt that we never met a better host. I spent a week at Pelagos apartments and it was the most enjoyable, gorgeous vacation I've ever taken. The apartment was just fantastic, with a beautiful view, a balcony covered in flowers, and Marianna was incredibly sweet and accommodating. The apartments are beautiful and managed like hotel rooms (regular cleaning, rubbish removal ...) but without the disadvantages. 5-star service. 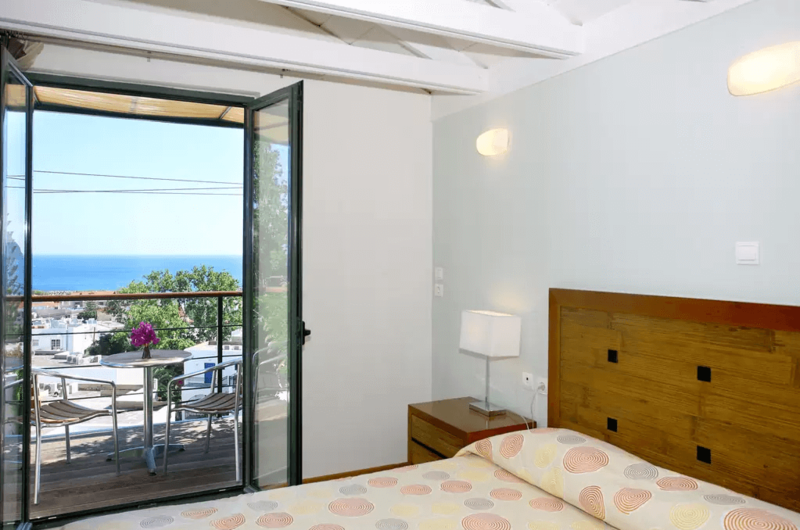 (Remarkably clean) The extreme kindness of the owner and its valuable addresses allowed us to make the most of our stay The apartments are a little high on the hill, allowing an unobstructed view of the sea deeply our next visit!